The universal media player help you playback almost all media formats. Just drop your video and music files to it, iFunia Media Player will playback them clear and smoothly without extra plug-ins or codec packages. Play all HD videos and 5K videos fluently! 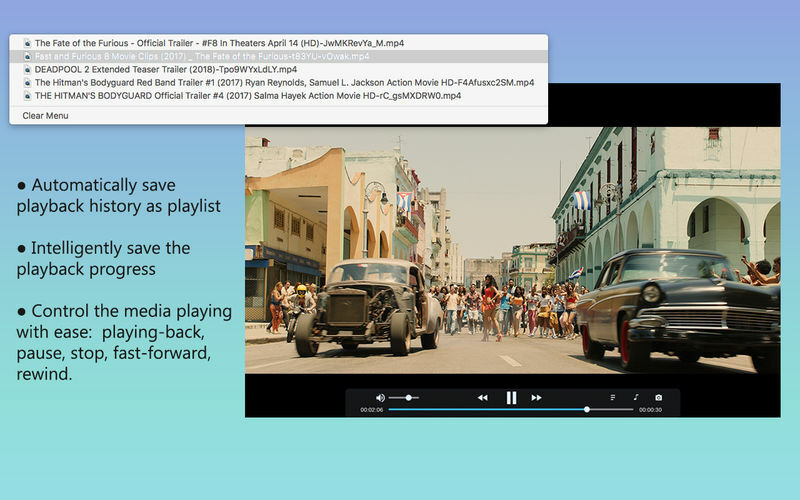 Play videos and audios with full-screen mode or the window size that you like. Intelligently save the playback progress, just start watching videos from the position you stopped quickly. Automatically save playback history as playlist for you to manage easy & fast. Control the media playing with ease, including playing-back, pause, stop, fast-forward, and rewind. All the operation could control by shortcut keys that you set. 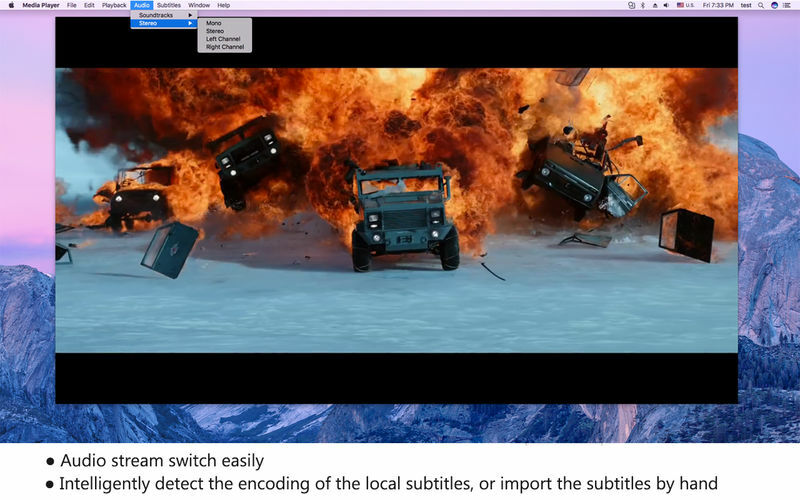 Intelligently detect the encoding of the local subtitles, or you could import the subtitles by hand. Quick image capture lets you save favorite frames breezily. Support audio stream and sound track switch. Provides the detailed information about video. Convert the videos to other media formats with one click: MP4, M4V, MKV, MOV, AVI, M4A, MP3. Convert the videos to your portable devices and watch movies anywhere anytime. You could edit the media information for the output video file quick and easy including general media info and metadata. Added more videos and audio format support. The conversion speed is greatly increased. Newly add Auto fit to output option. Add MP4 HEVC and many optimized presets for devices. Solved some remaining problems of conversion.